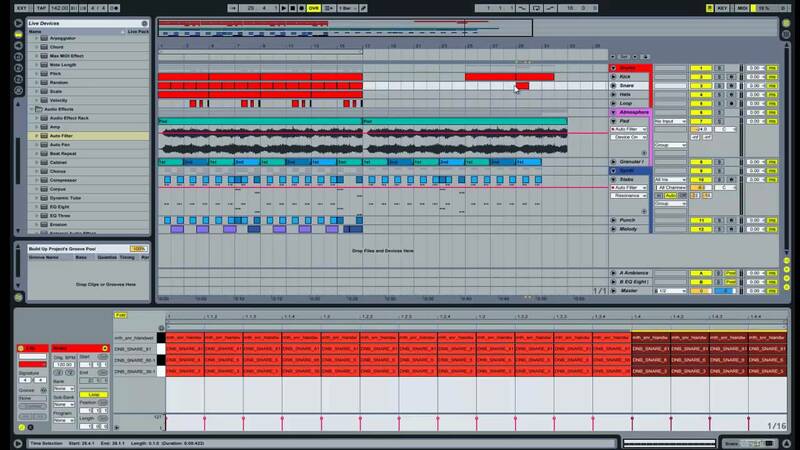 How To Make Dubstep: 15 Essential Tips You Need To Know! There’s no denying that dubstep has been one of the most popular genres in electronic dance music over the last several years. It’s not hard to understand its appeal. It sounds like robot dinosaurs shooting lasers at each other, and it makes the kids dance! But when it comes to actually producing dubstep, it’s not that simple. There’s a lot that goes into making a dubstep track, and it can take a producer years before they’re able to create the bass heavy bangers you love. When you’re just starting out learning to produce dubstep, it can all seem difficult to grasp. So, to help you along the way, we’ve put together a list of 15 essential tips for making dubstep. If you want to learn how to make great dubstep tracks, your first mission is to become a master of modulation. It may sound like a daunting word at first, but modulation is simply the technique that is used to create all those complex rhythmic basslines we love to hear in dubstep. This is an area where you can really get creative, as the possibilities are truly endless. The most common way to add modulation to your bass sounds is by using LFOs (Low Frequency Oscillators). LFOs work by using frequency movement outside of the human hearing range to control various parameters on a synthesizer. For example, a basic wobble can be created by modulating the filter cutoff with an LFO. This introduces extra rhythms into your sound as well as evolving textures and movement. This makes it more dynamic and interesting to listen to. Becoming a pro at modulation won’t happen overnight, but it's still the defining element of virtually all dubstep drops. So make sure to put the time into learning about it. This one is kind of obvious, but it’s still a worthwhile tip. If you want to be one of the greats, learn from the greats. Producers can be a bit tight fisted when it comes to sharing their secrets.But if you dig deep enough, you can usually find useful information from your favorite artists. You can also find tons of helpful tutorials on YouTube, covering all sorts of topics from sound design to mixing to composition and even arrangement. Another great option is to invest in an educational program like Academy.fm. In Academy.fm, you’ll gain access to top notch presets, samples, project files, courses, and tutorials that will help you master dubstep production in no time. In fact, there’s a full course on Acadmey.fm that teaches how to make five insane Dubstep growls, including one of these growls that was used in “Terror Squad” by Zomboy! You can check out a sneak peek of this course below. If you want to watch the rest of this course or access any of the other hundreds of resources on Academy.fm, you can actually sign up for free right now. Since the focus of dubstep is on the bass, it’s important to put extra care into making your sounds shine. And because basses take the lead in dubstep, you will want to make sure your sounds have enough going on in the mid range frequencies to take center stage. However, you still need to have enough oomph in the sub range frequencies so that your basses won’t sound flat. This can be a difficult balance to achieve, but the most common technique is to create a separate track for your sub bass. This can be done simply enough. Let’s say you’ve designed a great patch in NI Massive that will be the main focus of your drop. It has plenty of brilliance in the mids and highs to make it sound loud and in your face, but the sub is really weak. All you need to do is duplicate your Massive patch and turn off the filters and any extra effects. For a sub bass, you only need one oscillator and a simple waveform, generally a sine wave. This simple patch will sit underneath your main sound to give it a nice low end thump without muddying up the mid and high frequencies. You can then EQ out the lower frequencies on your main sound so that everything under 100 hertz will be removed. This will keep your sub and your main sound from competing with each other. We’ve gone over keeping your sub clean, but you also have to be mindful of how your sub can undercut your kick drum. You can avoid this by using sidechain compression. Sidechain compression is another production concept that sounds more complicated than it is. The basic goal is to use a compressor to momentarily reduce the volume of certain sounds in your mix. In our case, the compressor would be placed on the sub bass channel, and each time a kick drum is triggered, it will activate the sidechain compression. The result is that the sub bass will briefly get quieter while the kick drum plays out. This will give your kick and sub their own space within the mix and keep them from cancelling each other out. Dubstep beats tend to be very simple. A typical dubstep drum loop consists of a kick on the first beat and a snare on the third beat, giving the genre its signature half-time rhythms. However, your beats will get boring if you keep them too simple. So, to keep your rhythms fresh, be sure to throw in some percussion variations to fill in the offbeats. A swung hi-hat pattern or the occasional tom fill can go a long way towards livening up your beats. Because dubstep beats have a slow moving, half time feel to them, it’s important to make sure your drums are really punchy and impactful. An easy way to achieve this is by layering multiple drum samples together. It’s a simple but effective way to give your percussion elements a nice boost. It even helps them sit better in the mix. In an interview with Izotope, Skrillex breaks down how he layers his snares to make them as punchy as possible. However, when layering drums, you always have to be mindful of any phasing issues that may occur, especially when dealing with kicks. 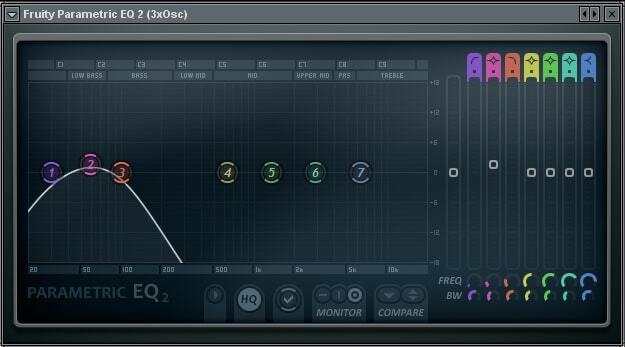 If you layer two kicks together that are out of phase, this will have the effect of making them sound thin and weak. This is the opposite of what we’re going for. You will also need to make sure your kicks are in tune with each other, otherwise you will wind up with a muddy kick that loses some of its impact. If you really want to become a master of sound design, sooner or later you will have to take a dive into the murky waters of frequency modulation (FM). From gnarly growls to ear shattering screeches, FM is the method that your favorite producers are using to create their best dubstep patches. 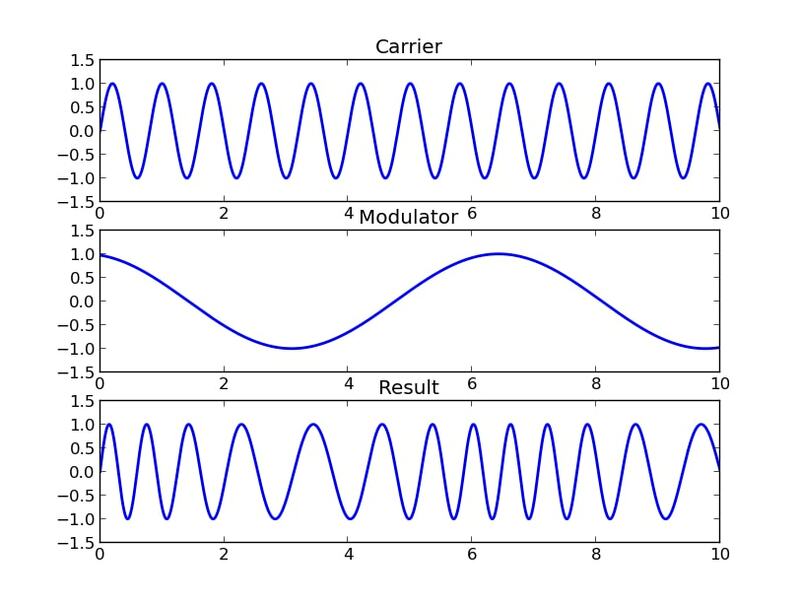 Compared to more basic forms of sound synthesis, frequency modulation can be a difficult concept to wrap your head around. Put simply, frequency modulation involves using one sound to manipulate another. For instance, you would use one oscillator as your carrier wave, while a second oscillator would be used to modulate the carrier. Take a look at this diagram below to get a better idea of how FM can be used to alter your sound. One of the best ways to jump head first into frequency modulation is by using Xfer’s popular wavetable synthesizer Serum. Serum’s straightforward FM capabilities have made it easier than ever to create mind blowing sounds using frequency modulation. With the handy FM from Oscillator function, Serum has greatly simplified frequency modulation. What’s more is that Serum’s graphical display will help you get a visual clue as to how FM is affecting your sound. You can check out a ton of Serum tutorials here to dive further into its powerful FM capabilities. One of the key differences between an amatuer producer and a professional is knowing how to maximize each sound to its fullest potential. A lot of beginners will try to cram too many ideas into a single project, making it unfocused and ultimately uninteresting to listen to. Long gone are the days where you could get away with making one drop for a song and copying it over to the second drop. Bass music fans are a bit more sophisticated now than they were at the start of the dubstep boom, so it’s important to keep things varied in your tracks. Not only is it a good idea to switch it up between your first and second drop, but you will also probably want to split your drops up into varying sections. For example, you might start your drop with one bass part but segue into a different pattern to keep things interesting. For your second drop, you might take your first bass pattern and switch up the drum loops or switch into a different genre of bass music entirely. Listen to how Dubloadz adds a lot of interest to the second drop of “Mind Eraser” by making subtle variations to the bass rhythms. We all know that the drop is the most important part of any dubstep track. It’s the most exciting and energetic part of the song, and it's what your audience is waiting for. But that doesn’t mean you should get lazy with the other parts of your track. A lot of producers will spend countless hours perfecting a great bass heavy sequence only to sandwich it between a generic piece of filler that is clearly just killing time until the drop. Let’s take a look at “Resist“ by Must Die as an example of a song that is strong from start to finish. This track’s drop is so well done that it could easily carry the rest of the song, but that doesn’t stop the producer from crafting an equally enticing intro. “Resist” kicks off with TV static and some sampled news sound bites. A pummeling synth joins the mix as a crowd chants in the background. Then a powerful build up takes us into the first drop. Must Die does a great job of setting up the drop with this intro. It ties in thematically with what the song is about while getting the listener pumped up for what is to come later on. You know that the audience is waiting for the drop, so your intro should help to build up that anticipation. The last thing you want is for your listeners to be fast forwarding to get to the good stuff. When it comes to making dubstep, distortion will always be an essential part of your toolkit. You just can’t beat the added grit and loudness that distortion makes possible. Not to mention, when it comes to designing in your face bass patches, distortion can really be your best friend. Virtual instruments like Massive and Serum come with great built-in distortions, but pretty much any DAW is bound to have some native distortion plugins as well. That being said, it’s not a bad idea to add some outside distortions to your arsenal. 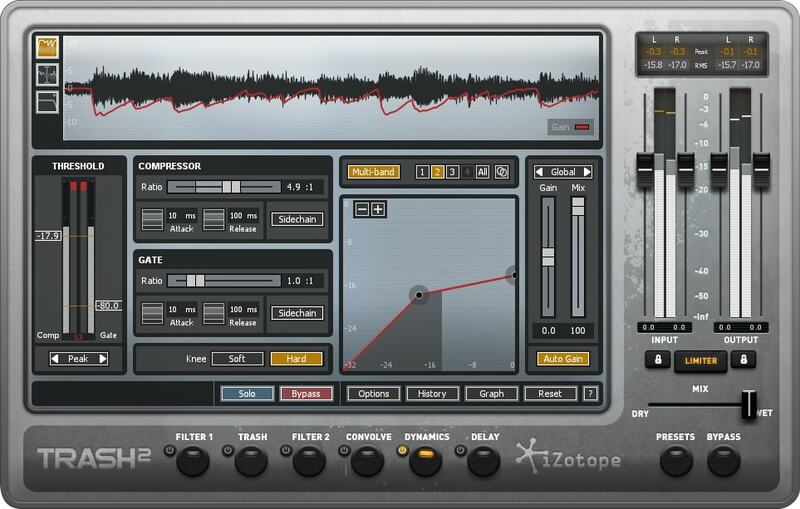 A few great third party distortions to check out would be iZotope’s Trash 2, Ohm Force’s Ohmicide, and Native Instruments’ Driver. Because of the endless possibilities that soft synths provide, it can be easy to get distracted during the sound design process. You may find yourself constantly changing your patches and never finishing any of your sounds. When this happens, it's a good idea to switch to working with audio for a change of pace. Resampling synth parts into audio can be a great way to lock in an idea or provide yourself with some limitations that feel creatively fresh. From chopping up sounds to messing around with warp modes and adding extra effects, you can achieve a lot of interesting sounds that you wouldn’t get any other way. Check out this video of Feed Me in the studio to see just how creative you can get by resampling audio. You can use other post processing tools to help make your sounds pop even more. This is pretty open ended, but we’ll go over a few common effects you could use to beef up your productions. If you’re looking to create the kind of metallic basses that have become popular in the last couple of years, you can use time based effects like chorus, delay and flanger to take your patches to add a robotic slap-back effect. You will also want to get well acquainted with compressors, because you’ll be using them a lot to add punchiness to your drums. A little gated reverb on the snare never hurt either. While there’s nothing wrong with relying on sound design tutorials while you’re learning the basics, there are too many producers in dubstep who never venture outside of the current trends. If you really want to be a great dubstep producer, sooner or later you will need to find your own sound. This is something that can really only be accomplished through experimenting and experience. That’s not to say you need to be making avant garde music, but you should push yourself to discover new sonic ground. Look for inspiration outside of your favorite producers and strive to come up with fresh sounds. Mixing and Mastering are essential processes in any genre, but they play a bigger role in the overall production with dubstep and other bass music genres. The purpose of mixing and mastering your song is to optimize it to sound as good as possible on any system. This becomes especially important when your tracks are being used in a DJ set. If the crowd can’t feel the vibrations of the sub bass, and if your kick isn’t pushing through the mix, then they won’t react positively to your song on the dancefloor. When it comes to producing dubstep, there are a lot of techniques you’ll need to master before you make your first hit. From creating complex modulated bass patterns to polishing up your mix, it will require a ton of time and effort to learn everything you need to know to produce a solid dubstep track. But if your goal is to make great dubstep, then you absolutely must familiarize yourself with the 15 techniques listed above. Which dubstep production technique do you struggle with the most?